How about a bit of enchantment you can keep on your desk? Or if you prefer, you can wear this tee and take the enchantment wherever you go! 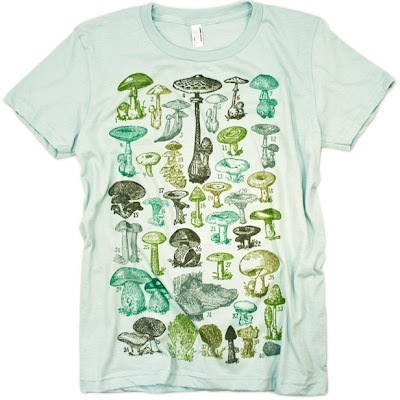 Mushrooms of the World Tee by Critter Jitters. 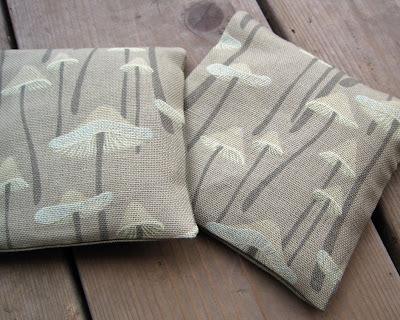 I love these sachets made from a gorgeous linen with their subtle print. 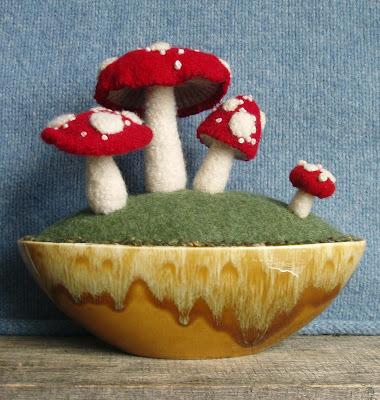 And lastly, because I am such a sucker for gorgeous toys...I'll never grow up...here are a couple of fun mushroom toys from fellow members of the Natural Kids Team...I love these! 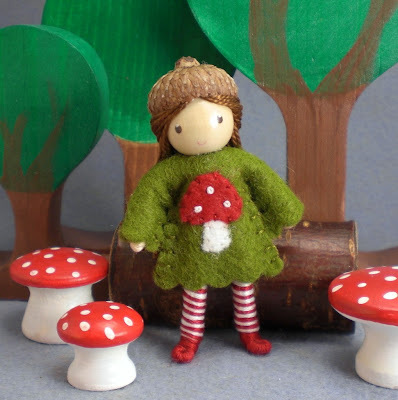 A sweet bendy doll from Princess Nimble Thimble with wooden mushrooms from The Enchanted Cupboard. 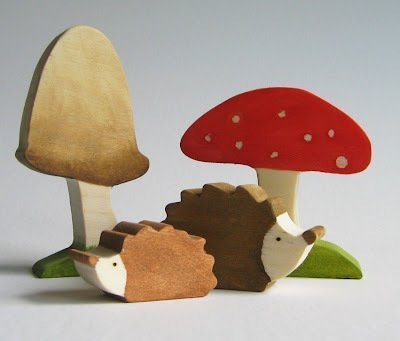 And a lovely wooden set of hedgehogs and mushrooms from Imagination Kids. And don't forget that many of the Natural Kids team (including these shops!) are having sales this week. You can find the complete list here. i adore mushrooms as well. there is something magical and whimsical about them - and they are oh so tasty. I love them too! We are always so delighted when a few pop up in our garden (doesn't happen too often in the desert though!). I wish magnets would stick to our fridge, thoses are too cute! Such a soft spot for these mushrooms... thanks for including ours! Sweet post fairies nest! Such lovely little items! love mushrooms, can't get enough! I'm wild about the mushroom t-shirt! Aren't they wonderful?! I love the magnets and Danielle's doll, actually, I just love all of it! wonderful, i love all of them! Mushrooms are even more popular this year, with the new alice movie. I even did some mushroom jewelry, but not related to the movie. That t-shirt is wonderful! Thanks for sharing! Princess nimble thimble is adorable. And I love her mushroom furniture!